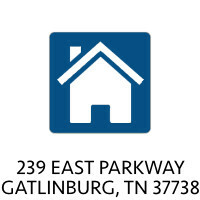 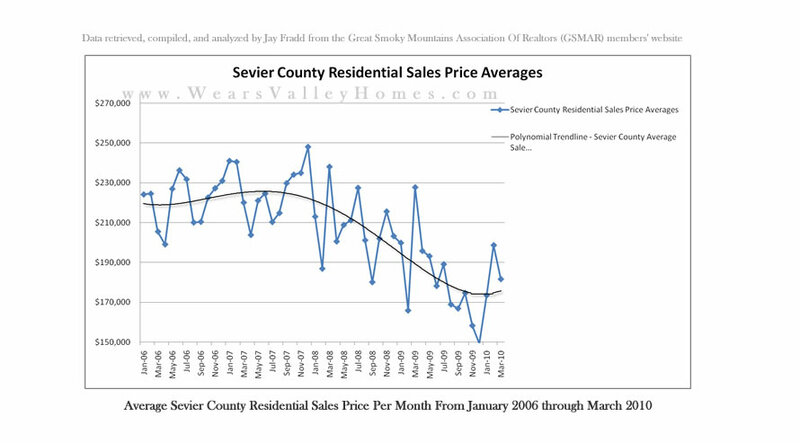 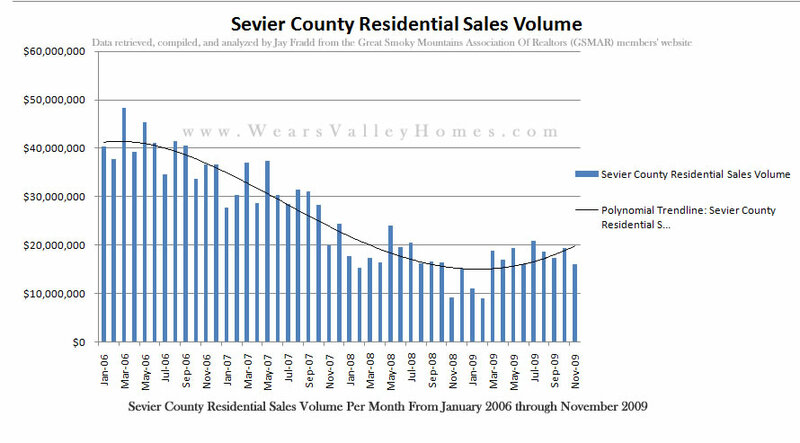 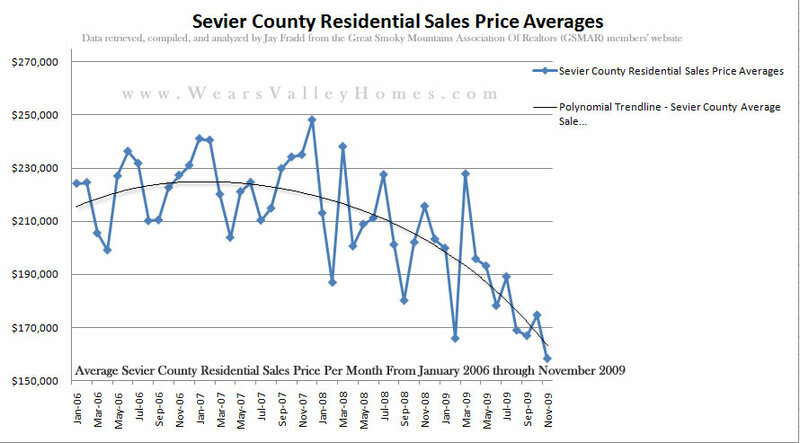 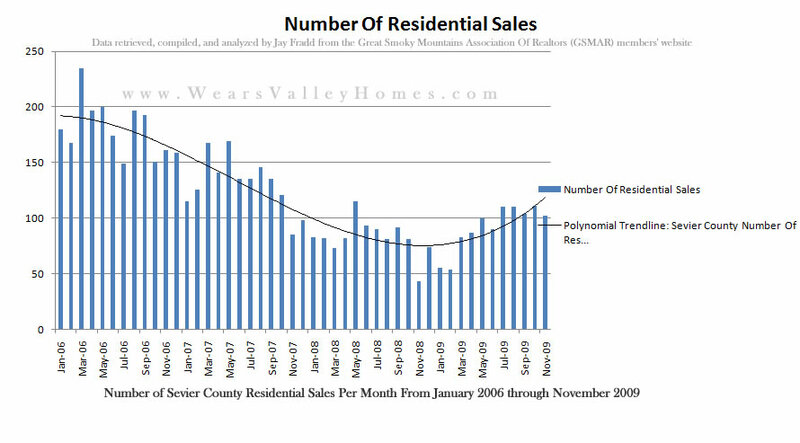 Please note I am adding new charts and updating this page with the newest MLS real estate sales statistics for the Smoky Mountain area of Gatlinburg, Pigeon Forge, Sevierville, and Wears Valley. 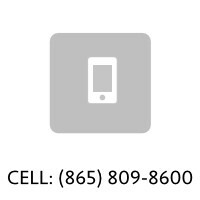 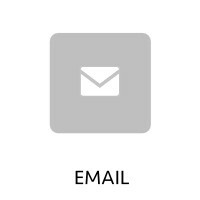 Please check back soon for more updates or if you are interested in a particular analysis, let me know and I can do further research. 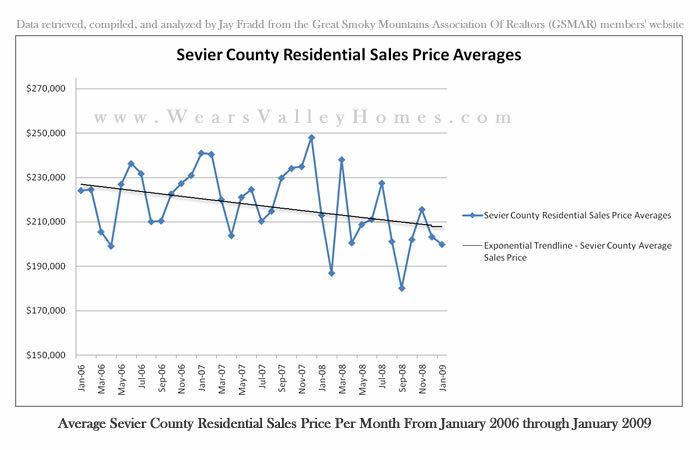 Based on information from the Great Smoky Mountains Association of REALTORS or its Multiple Listing Service from the period January 2006 through June 2013. 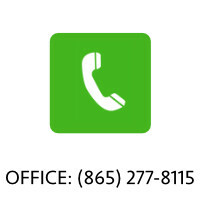 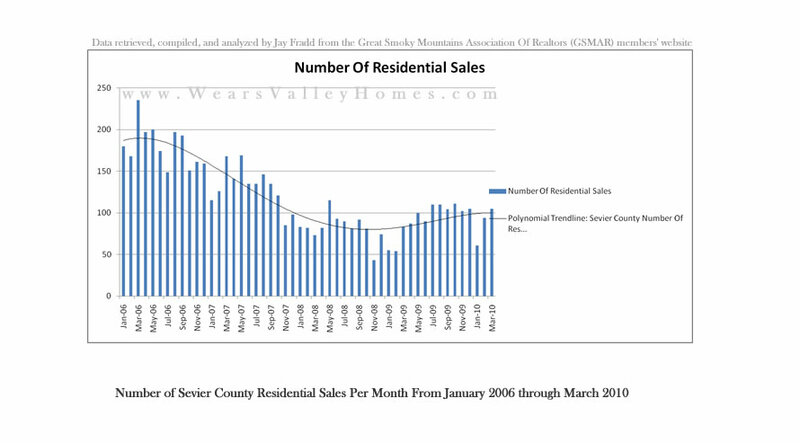 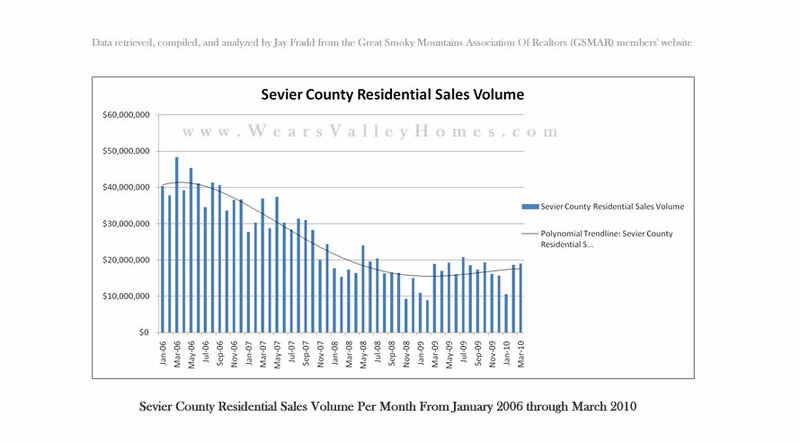 Based on information from the Great Smoky Mountains Association of REALTORS or its Multiple Listing Service from the period January 2006 through March 2010. 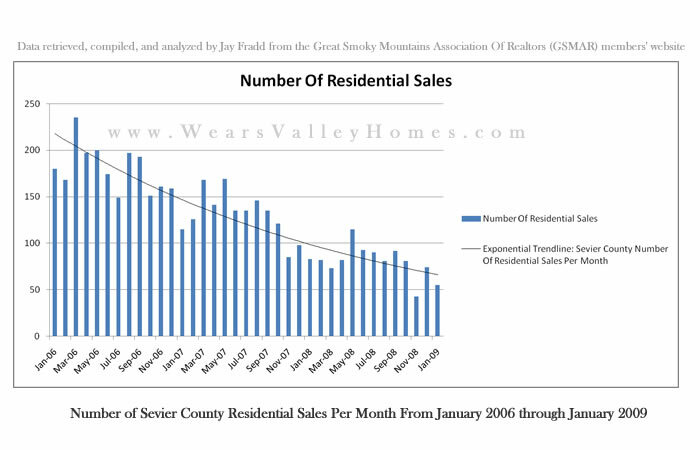 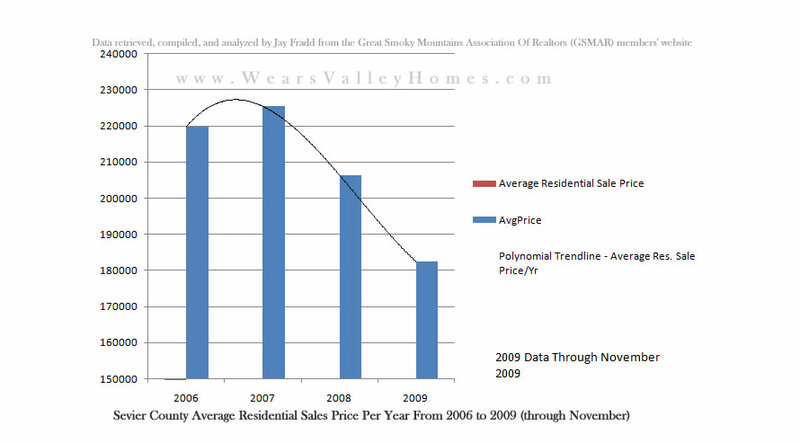 Based on information from the Great Smoky Mountains Association of REALTORS or its Multiple Listing Service from the period January 2006 through November 2009. 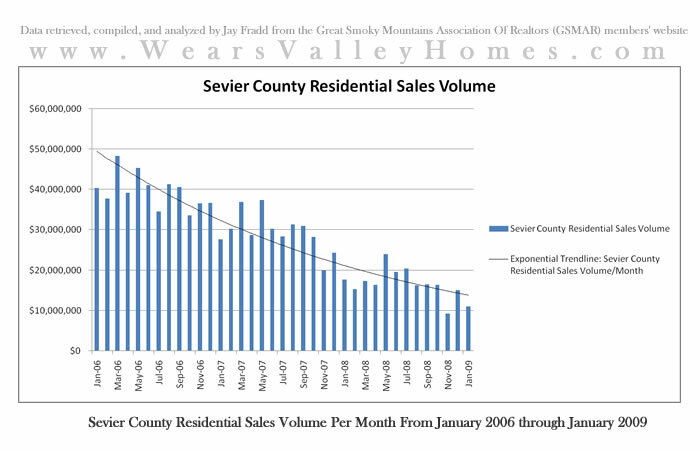 Based on information from the Great Smoky Mountains Association of REALTORS or its Multiple Listing Service from the period January 2006 through January 2009.